Last year, a larger building (2,025 sq ft) closer to the center of town became available, so we began negotiations with the owner. He dropped the rent from 700€ ($800) to 600€ ($650), gave us six months free rent in order to do renovations, and a 10 year lease contract! These terms are almost unheard of here in Spain! So with the realization that this obviously was from the Lord, we signed the contract! So in March 2017 we began the work of renovating the interior of the building. Two members of our church are individual contractors who volunteered their labor as well as tools, discount prices with materials, and connections with an architect as well as city hall where we had to get permits as well as our operating license. Your missionary put his multiple construction skills to use as well as other members of our church. Nevertheless, even with all the free labor, discounts, and connections, the costs of renovations with materials, architect fees, work fees, and licensing fees cost us around $20,000. The church has given around $5,000 and we received the rest of the cost from our supporting churches as well as a few individuals. We also raised another $2500 for new auditorium seats. But we still have more financial needs which will include installing an air conditioning unit in our auditorium. Since it has now exterior windows, there is no way to efficiently cool the auditorium in the summer heat of 100+ degrees. greatly appreciate it! Therese and I arrived back in Spain in March 2018. Hopefully, this spring we can purchase the auditorium seats as well as the installation of an A/C unit. Six years ago, we started a new ministry for Spain which we felt like the Lord had laid on our hearts. 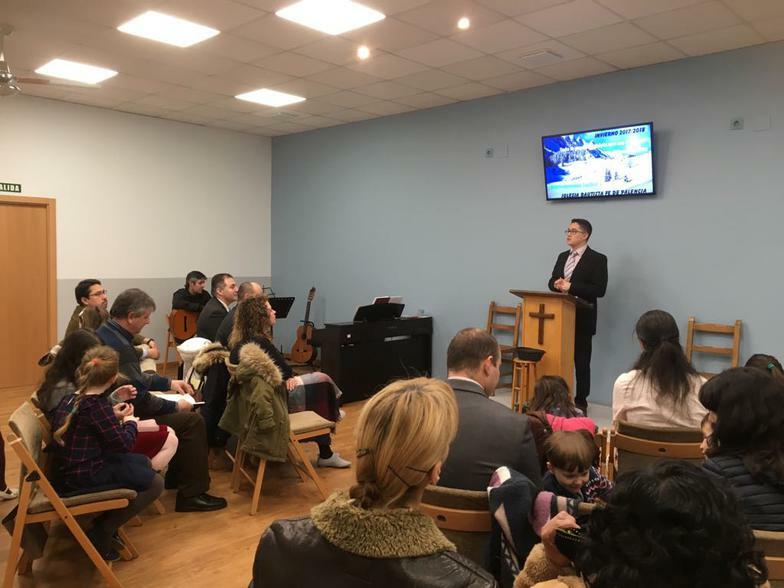 The Bible Memory Association (Asociación para la Memorización de la Biblia) is encouraging our local independent fundamental Baptist churches to organize their people to memorize God's Word. 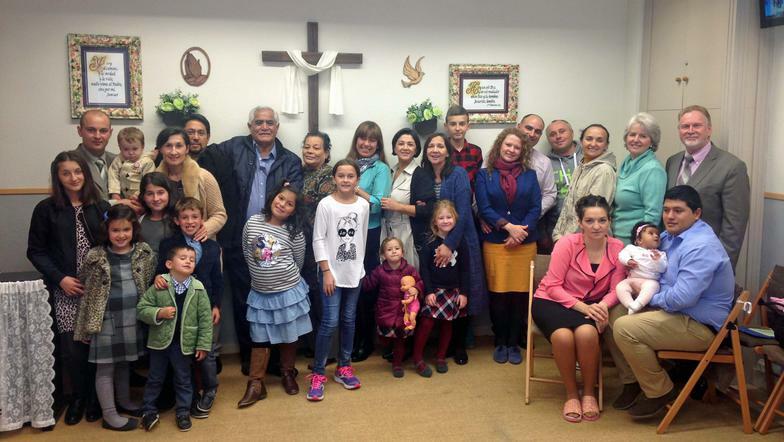 This organization is patterned after a U.S. ministry called Scripture Memory Fellowship. ​SMF is the daughter of the original Bible Memory Association of which I, Bill, participated for seven years from the late 60's to the early 70's. I memorized hundreds of verses of which over the decades have been a great support of my spiritual walk with the Lord as well as of my ministry. 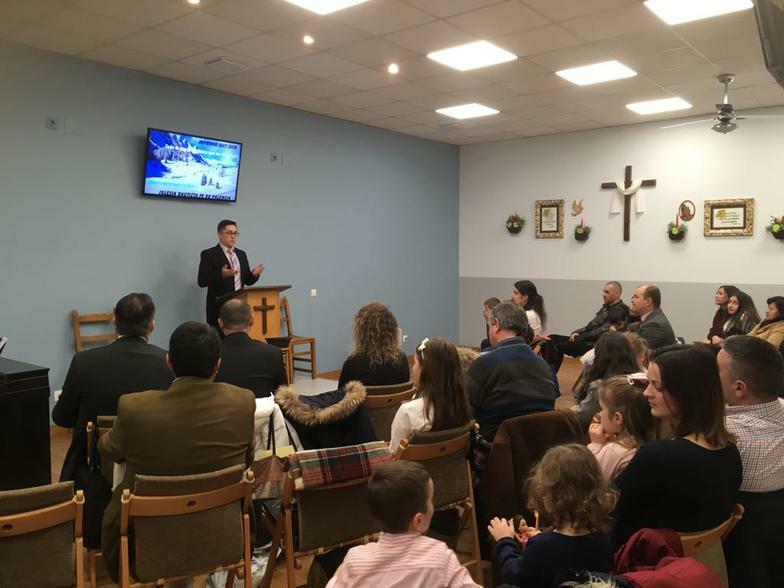 Over the last six years, over a thousand people have signed up to memorize from 21 Independent Baptist churches here in Spain. Literally thousands of verses have been and are being memorized If you would like more information, you may visit the web page (although in Spanish) by clicking on the AMB logo graphic to the right.